The USA Basketball Men’s National Team coaching staff today was finalized with the announcement that NBA head coaches Steve Kerr (Golden State Warriors) and Nate McMillan and Villanova University head coach Jay Wright have been selected as assistant coaches for the 2019-20 USA Basketball Men’s National Team. Kerr, McMillan and Wright join USA and San Antonio Spurs head coach Gregg Popovich to complete USA National Team coaching staff. The coaches will lead the USA National Team in2019-20, which, if the USA qualifies, could include the 2019 FIBA World Cup in China (Aug. 31-Sept. 15, 2019) and the 2020 Summer Olympic Games in Tokyo, Japan (July 24-Aug. 9). "Led by coach Popovich, we have assembled an incredible coaching staff for the USA National Team, and we are excited to have Steve Kerr, Nate McMillan and Jay Wright join the team as assistant coaches," said Jerry Colangelo, who has served as the managing director of USA Basketball Men’s National Team program since 2005. "It’s special that each coach has prior USA Basketball experience as either a player or coach, and each coach has compiled a successful and impressive resume. I’m very confident that the USA Basketball National Team is in excellent hands the next two years." "I am honored and fortunate to have such gifted coaches share this USA Basketball responsibility with me," said Popovich, a 1970 graduate of the U.S. Air Force Academy. "Steve Kerr, Nate McMillan and Jay Wright are not just knowledgeable, dedicated individuals, but they exhibit the creativity, tenacity and respect for the game needed to compete in the international arena. 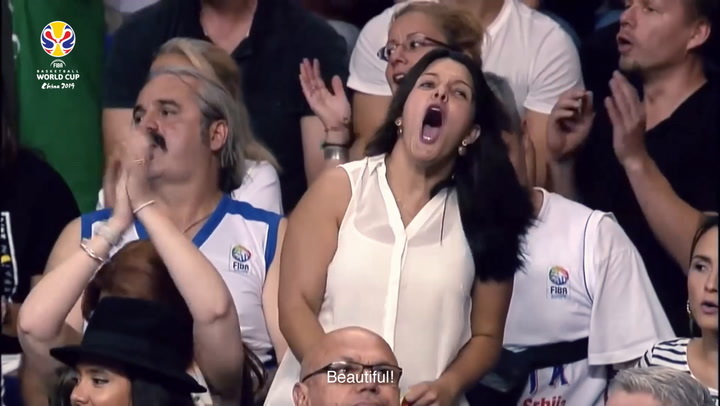 Since the formation of USA Basketball’s National Team program in 2005, USA Men’s National Teams have compiled a spectacular 88-1 record and claimed top honors in six of seven FIBA or FIBA Americas competitions (through 2016 Olympics). 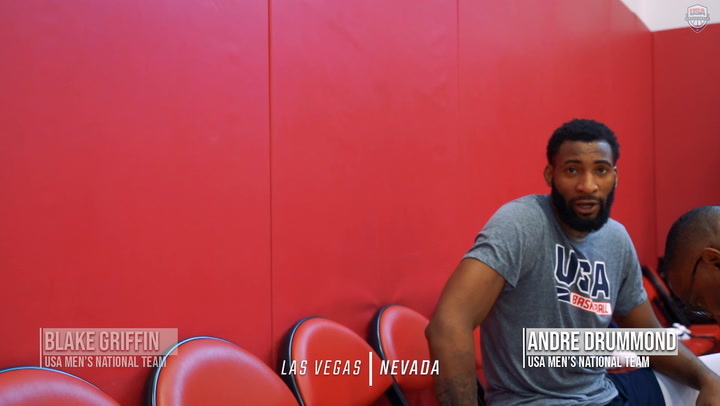 Just as importantly as the USA National Team’s success on the court, the program also reestablished the USA National Team and its members as positive ambassadors for the United States and basketball. Currently, the USA National Team enjoys a 76-game win streak (53 straight wins in FIBA and FIBA Americas competitions, and 23 consecutive wins in exhibition games). The USA men have won three-straight Olympic gold medals (2008, 2012 and 2016) and, for the first time ever, back-to-back FIBA World Cup gold medals (2010 and 2014). The USA win streak dates back to the bronze medal game of the 2006 FIBA World Championship in Japan (Sept. 2, 2006). Since first fielding a team of legendary NBA stars in 1992, USA Basketball national teams featuring NBA players have claimed gold medals in 14 of 17 international basketball competitions and compiled a 134-7 record in those official events, while also posting a record of 51-1 in exhibition games. "This is an incredible opportunity and one I’m extremely grateful for," said Kerr. "I had the good fortune to participate in our USA Basketball program as an amateur, and to have the chance to return to the world stage three decades later and work under Pop, one of my former coaches and a mentor, is a tremendous honor. I also look forward to working with Nate and Jay, two dynamic and highly-successful coaches, as we together embrace the opportunity to represent our country and attempt to ultimately bring home the gold." Entering his fifth season as an NBA head coach in 2018-19, Kerr has guided the Golden State Warriors to three NBA championships, four-consecutive NBA Finals appearances, the NBA’s single-season mark for wins (73 in 2015-16), the NBA’s best single-season playoff record (16-1), which included a playoff-record 15-game win streak to begin the 2017 NBA Playoffs, an NBA Coach of the Year award in 2015-16 and the three winningest seasons in franchise history. In his four seasons as the Warriors head coach, Golden State has compiled a remarkable 265-63 regular season record for a sterling .808 winning percentage, while compiling a 63-20 record (.759 winning percentage) in the NBA Playoffs. Kerr, who won five NBA championships during a 15-year playing career, now owns eight championships as a player and coach, joining a list of those with multiple titles as both player and coach that includes Phil Jackson (two player/11 coach), KC Jones (eight player/two coach), Tommy Heinsohn (eight player/two coach) and Bill Russell (11 player/two coach). Kerr is just the third coach in NBA history to win three championships in his first four seasons at the helm, joining Phil Jackson (1991, 1992, 1993) and John Kundla (1949, 1950, 1952) as the only coaches to do so. Under Kerr, Golden State became the first team in NBA history to win at least 65 games in three consecutive campaigns (67, 73, 67), owning the league’s best record outright in three-straight seasons—the first team to do so since the Boston Celtics from 1983-84 to 1985-86. On March 28, 2017, Kerr earned his 200th regular-season coaching victory in just his 238th career game, reaching the 200-win plateau in fewer games than any coach in professional sports history. Kerr, 53 years old, owns 30 years of NBA experience as a player, coach, television analyst and front office executive, including a three-year stint (2007-10) as president of basketball operations and general manager for the Phoenix Suns. During his time as the Suns GM, the club posted a 155-91 (.630) record and earned a pair of playoff berths, including a trip to the 2010 Western Conference Finals. The NBA’s all-time 3-point percentage leader, having converted on 45.4 percent (726-of-1599) of his attempts, Kerr amassed career averages of 6.0 points, 1.8 assists and 1.2 rebounds per contest in 910 regular-season games with the Phoenix Suns, Cleveland Cavaliers, Orlando Magic, Chicago Bulls, San Antonio Spurs and Portland Trail Blazers. Kerr originally was selected by the Phoenix Suns in the second round (50th overall) of the 1988 NBA Draft out of the University of Arizona. Kerr capped his collegiate career as a senior in 1988 by helping lead the Wildcats to their first Final Four appearance. An All-Pacific 10 Conference guard in both 1986 and 1988, he remains the school’s career leader in 3-point field goal percentage (57.3 percent). Kerr also was a member of the USA Basketball team that captured the 1986 World Championship title in Madrid, the last American men’s senior team composed strictly of amateur players to capture a gold medal. Kerr averaged 9.2 points a game and sank 18-of-36 3-point tries. A finalist for the 1988 U.S. Olympic Basketball Team, Kerr also was a member of the 1988 USA Select Team that finished 6-0 during a European tour. "I’m honored and thrilled to be with USA Basketball and the National Team again," said McMillan. "My previous experience I figured to be a once-in-a-lifetime experience, and now I’ve been blessed again. I look forward to working with Coach Popovich and a great group of players." McMillan, 54 years old, returns to USA Basketball after serving on Mike Krzyzewski’s USA National Team staff from 2006-12. During his time as an assistant coach for the USA National Team, the Americans won gold medals at the 2008 Beijing Olympics and the 2012 London Olympics, the 2010 FIBA World Championship and the 2007 FIBA Americas Championship and a bronze medal at the 2006 FIBA World Championship. All told, USA teams with McMillan as an assistant coach compiled a 43-1 record in FIBA and FIBA Americas competitions and a 19-0 record in national team exhibition games. In 14 seasons as an NBA head coach, McMillan has compiled an overall regular season record of 568-526 for a .519 winning percentage. McMillan is entering his third season as the Indiana Pacers head coach after serving as the associate head coach for three seasons. McMillan has compiled a 90-74 record and helped lead the team to the NBA playoffs his first two seasons. A Seattle SuperSonics assistant coach for two years, McMillan became the team’s interim coach in 2000. He remained the Sonics’ coach until 2005, and then became Portland’s head coach through March 2012. In 2008-09, he led the Trail Blazers to 54-28 record, sixth-best record in franchise history, and helped Portland reach the NBA playoffs in three of his six seasons. McMillan compiled a 458-429 (.516) record as a head coach for both teams. After playing two seasons at North Carolina State University, McMillan was drafted by Seattle (30th overall) in the 1986 NBA Draft. He played his entire 12-year career with the Sonics, where he helped lead Seattle to the 1995-96 NBA Finals and had his number (10) retired. He is second in franchise history in assists and steals and ranks in the top 10 in eight other categories. Twice he was named to the NBA’s All-Defensive team (1994 and 1995), and he led the league in steals in the 1994-95 season with 2.96 per game. In his 12 seasons with the Sonics, they reached the playoffs 11 times. McMillan was inducted into the National Junior College Basketball Hall of Fame in 2001, having played two seasons at Chowan Junior College (Murfreesboro, NC) before transferring to North Carolina State. 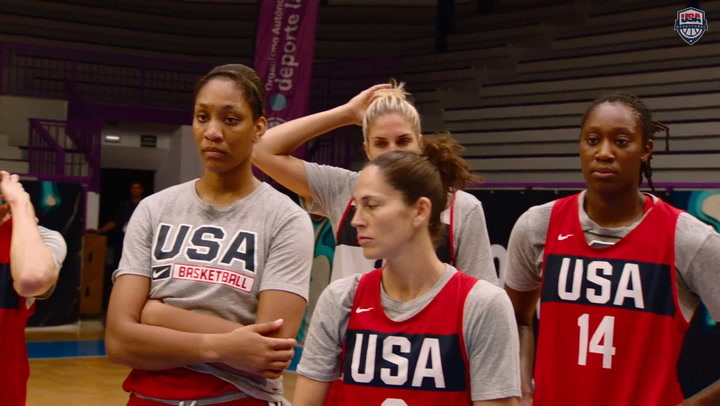 "It is a great honor to represent our country and to represent USA Basketball. It's also a privilege to work under Pop and alongside Steve and Nate. I have great respect for all three of them. This will be the opportunity of a lifetime," said Wright. In 17 seasons as Villanova’s head coach, Wright has guided the Wildcats to three NCAA Final Fours and a pair of NCAA National Championships. He is one of only three active NCAA Division I men’s head coaches with multiple national championships to his credit. Compiling a 422-165 record at Villanova for a .719 winning percentage in his 17 seasons as the head coach, Wright has led Villanova to five Big East Conference championships (2006, 2014, 2015, 2016 and 2017), three Big East Tournament titles (2015, 2017 and 2018) and 13 NCAA Tournament appearances. In his 24 years as a college head coach, he boasts of an overall record of 544–250 (.685 winning percentage) and has guided teams to NCAA or NIT post-season tournament 20 times. He owns an all-time NCAA Tournament record of 27-13 (.675). Wright, 56 years old, directed Villanova to the Final Four in 2009, then led Villanova to the 2016 NCAA Championship, defeating North Carolina on a memorable game-winning 3-point shot. Wright’s Wildcats followed-up on that championship two years later, winning the 2018 NCAA Championship. Villanova has recorded more victories over the past five seasons (165) than any other NCAA Division I program and is the first Division I team to post 30 or more victories in four consecutive seasons (2014-18). In 2017-18, the Wildcats amassed a school record 36 victories and secured Villanova’s third NCAA National Championship. Each of its six NCAA Tournament victories was by double digits. In 2018 Wright received the John R. Wooden Legends of Coaching Award. He is a two-time winner of the Naismith National Coach of the Year award (2006 and 2016) and is a five time winner of the Big East Conference Coach of the Year award (2006, 2009, 2014, 2015 and 2016). Wright owns a variety of prior USA Basketball coaching experience. He led the USA to a gold medal at the 2005 World University Games as head coach, and he was an assistant coach in the 2000 World Championship for Young Men Qualifying Tournament that finished 4-1 and won the silver medal. Wright coached a USA Basketball team of collegians in the 2007 Pan American Games to a fifth-place finish and a 3–2 record. Serving as co-head coach of 2010 USA Select Team that trained with the 2010 USA World Cup Team, he returned as Popovich’s assistant coach for the 2016 USA Select Team that trained with the 2016 U.S. Olympic Team. Most recently, Wright served as an assistant coach during the 2018 USA Men’s National Team minicamp. Wright was a three-year varsity letterman at Bucknell University and was the team's leading scorer in 1981-82, when he averaged 11.9 points per game. He was selected as the team's most valuable player for 1981-82, and then as a senior in 1982-83 he served as team co-captain and received the Malcolm A. Musser Award for Leadership. Based in Colorado Springs, Colorado, and chaired by retired Gen. Martin Dempsey, USA Basketball is a nonprofit organization and the national governing body for basketball in the United States. As the recognized governing body for basketball in the U.S. by the International Basketball Federation (FIBA) and the United States Olympic Committee (USOC), USA Basketball is responsible for the selection, training and fielding of USA national teams that compete in FIBA-sponsored five-on-five and 3x3 international competitions, as well as for some national competitions and for the development of youth basketball. 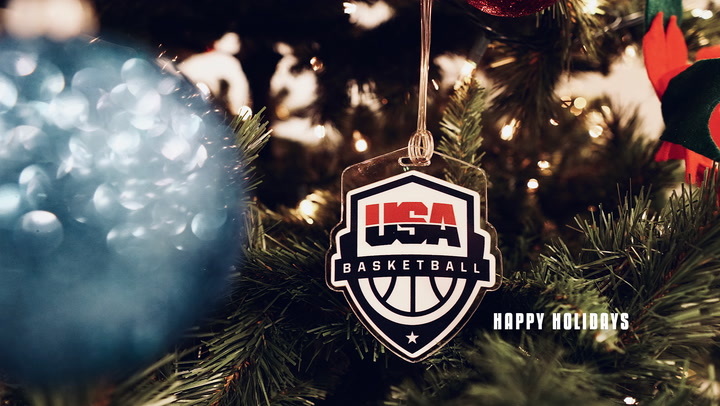 Connect with USA Basketball at USAB.com and on Facebook (USABasketball and USABYouth), Twitter (@usabasketball, @USABYouth,), Instagram (@USABasketball) and YouTube (therealusabasketball).